December 24 is the 358th day of the year(359th in leap years) in the Gregorian calendar.There are seven days remaining until the end of the year. Year 502 (DII) was a common year starting on Tuesday of the Julian calendar. At the time, it was known as the Year of the Consulship of Avienus and Probus. The denomination 502 for this year has been used since the early medieval period, when the Anno Domini calendar era became the prevalent method in Europe for naming years. Emperor Wu of Liang (梁武帝) (464–549), personal name Xiao Yan (蕭衍), courtesy name Shuda (叔達), nickname Lian'er (練兒), was the founding emperor of the Liang Dynasty of Chinese history. His reign, until the end, was one of the most stable and prosperous during the Southern Dynasties. He came from the same family that ruled Southern Qi, but from a different branch. Year 3 BC was a common year starting on Wednesday or Thursday of the Julian calendar and a common year starting on Tuesday of the Proleptic Julian calendar. At the time, it was known as the Year of the Consulship of Lentulus and Messalla. The denomination 3 BC for this year has been used since the early medieval period, when the Anno Domini calendar era became the prevalent method in Europe for naming years. Servius Sulpicius Galba was Roman emperor from 68 to 69, the first emperor in the Year of the Four Emperors. He was known as Lucius Livius Galba Ocella prior to taking the throne as a result of his adoption by his stepmother, Livia Ocellina. The governor of Hispania at the time of the rebellion of Gaius Julius Vindex in Gaul, he seized the throne following Nero's suicide. 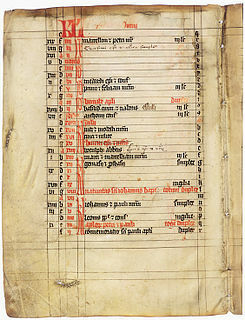 1166 (MCLXVI) was a common year starting on Saturday of the Julian calendar. AD 36 (XXXVI) was a leap year starting on Sunday of the Julian calendar. At the time, it was known as the Year of the Consulship of Allenius and Plautius. The denomination AD 36 for this year has been used since the early medieval period, when the Anno Domini calendar era became the prevalent method in Europe for naming years. Gongsun Shu was a governor and warlord of the Xin dynasty and early Eastern Han dynasty who controlled the region of modern-day Sichuan, proclaiming himself as the Emperor of Chengjia in 25 AD. With Chengdu as his capital, he ruled for 12 years before dying in battle on 24 December, 36 AD. His empire surrendered to Eastern Han forces the next day. Chengjia, also called the Cheng dynasty or Great Cheng, was a self-proclaimed empire established by Gongsun Shu in 25 AD after the collapse of the Xin dynasty of Chinese history, rivalling the Eastern Han dynasty founded by Emperor Guangwu later in the same year. Based in the Sichuan Basin with its capital at Chengdu, Chengjia covered a large area including modern Sichuan, Chongqing, Guizhou, Yunnan, and southern Shaanxi, and comprised about 7% of China's population at the time. Chengjia was the most dangerous rival to the Eastern Han, and was the last separatist regime in China to be conquered by the latter, in 36 AD. Adela and Irmina refers to two sisters and princesses, Adela of Pfalzel and Irmina of Oeren, who are jointly venerated on 24 December. Saint Paola Elisabetta Cerioli, born Costanza Cerioli Buzecchi-Tasis, was an Italian Roman Catholic widow and the founder of both the Institute of Sisters of the Holy Family and the congregation of the Family of Bergamo. ↑ Samuel Farmar Jarvis (1845). A Chronological Introduction to the History of the Church: Being a New Inquiry Into the Birth and Death of Our Lord and Savior, Jesus Christ; and Containing an Original Harmony of the Four Gospels. Harper & brothers. p. 313. ↑ Richard Thomson (1829). An Historical Essay on the Magna Charta of King John: To which are Added, the Great Charter in Latin and English; the Charters of Liberties and Confirmations, Granted by Henry III. and Edward I.; the Original Charter of the Forests; and Various Authentic Instruments Connected with Them: Explanatory Notes on Their Several Privileges; a Descriptive Account of the Principal Originals and Editions Extant, Both in Print and Manuscript; and Other Illustrations, Derived from the Most Interesting and Authentic Sources. J. Major. p. 461. ↑ Michael Jones (1 July 1988). Creation of Brittany. A&C Black. p. 163. ISBN 978-0-8264-3450-0. ↑ Journal of the American Musicological Society. American Musicological Society. 1970. ↑ Tyll Eulenspiegel (1860). The marvellous adventures and rare conceits of master Tyll Owlglass, newly collected, chronicled and set forth, in our Engl. tongue, by K.R.H. Mackenzie. p. 244. ↑ Philip M. J. McNair (1967). Peter Martyr in Italy: An Anatomy of Apostasy. Clarendon Press. Wikimedia Commons has media related to December 24 .